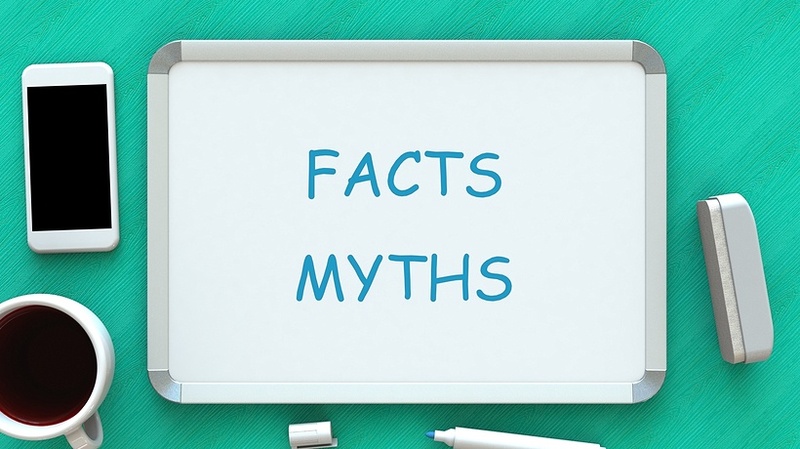 3 Myths About Instructional Design - Also: What Really Does An Instructional Designer Do? There is evidence that Instructional Design methods existed back in the 1940s, when during WWII members of the military were screened and trained using Instructional Design principles. Even though these techniques are quite old, the discipline is now becoming increasingly popular with the advances in technology and eLearning courses. It is not a secret that technology influences every aspect of our lives, and it should come as no surprise that it finds its application in the educational sector, keeping in mind the flow of information. In addition, different devices save students time, and, according to research carried by Wakefield, each student has and uses on average three devices daily. Furthermore, according to CourseSmart, printed textbooks are quickly losing their reputation as being one of the most important items in a student's bag. On the other hand, the same cannot be said about eLearning courses, which are developing with the speed of light; according to Roubides, they are the favorite mode of distance education today. As eLearning increases in popularity, the demand for quality eLearning course materials has increased in comparison to previous decades. Instructional Design: What It Really Is? It will be an oversimplification to say that Instructional Design only helps people learn. The purpose of Instructional Design is to "identify the skills, knowledge, and the attitude gaps of a targeted audience, and to create select and suggest learning experiences that close this gap" (Connie Malamed). In other words, the purpose of Instructional Design is partially the same as the purpose of all technological devices we use; to save us time and make learning easier and more effective. Instructional Design aims to compress the learning process and fill the gaps in our knowledge in the most effective way. We, as humans, learn from all sorts of positive and negative experiences and observations all the time. Furthermore, we are bombarded with information from the internet, TV, and books, all available in so many different formats. For this reason, it is not surprising that we are often having a hard time to make use of all the information. The same applies for eLearning courses, where it is easy to miss something you are not looking for, and here is where the Instructional Designer should interfere. It is correct to say that an Instructional Designer designs instructional materials, but then we will miss the most important point: An Instructional Designer helps people make sense of these materials and online resources. His role is to transform information into a clear and meaningful content, as well as to point learners in the right direction. This, however, is not as straightforward as it sounds. For an Instructional Designer it is really important to have clear goals in mind and to help his learners concentrate on the right things. His main obligation is to provide learners with context and multiple perspectives and to pass this critical thinking approach. When a group of people reads the same short story, or looks at the same picture, you can be sure that every member of the group will take a different peace of information from the material. The purpose of the Instructional Designer is to draw attention to all the small details and analyze all the bits, so the learners can see the bigger picture. There is a Gestalt psychology principle stating "The whole is greater, than the sum of its parts". In that sense, the role of the Instructional Designer is to take the bits and pieces of information learners have picked, and to put them together and make "a whole". An Instructional Designer should conduct a needs research and analyze the needs of the targeted group. They have to determine whether these needs can be fulfilled by learning; and exactly how. They write they learning objectives and conduct research to see what the outcomes are. They assess each trainee's entry skills and knowledge. Based on all of the above analyses and outcomes, an Instructional Designer should choose the instructional strategies and training techniques and select the media formats appropriate for the training. After the course is over, they need to follow-up participants and make sure the course has been beneficial and sufficient for their future personal and professional growth. 1. Instructional Design Puts Information In Front Of People. Not really! Instead, it makes sense of it. 2. Using Technology For Training Can Significantly Increase Learning. Before you stone me, let me explain! Yes - as mentioned above, technology influences learning greatly and keeps people informed. However, according to Nguyen and Klein (2007), the above mentioned statement is only true if you create an eLearning environment that will closely mimic the real life learning and working environment. Otherwise, people will not engage in your course as effectively as you would want them. Remember; the role of the Instructional Designer is to help learners take the maximum and guide them through the process. Simply posting online videos and resources, without providing people with a critical overview and explanation on how to make use of these resources, will not get them anywhere. 3. Instructional Designers Should Create Materials That Address As Many Learning Styles As Possible. Remember when I pointed that the role of the Instructional Designer is to research, analyze, and identify the learning needs of a target audience and the existing gaps in terms of knowledge and skills? This is not the same as designing course materials that suit as many learning styles as possible. This means to research carefully your target audience, to bridge the gap in their knowledge by addressing the cognitive commonality of the group, and mainly to allow people to progress at their own speed. Also, I highly encourage you to view the video What does an Instructional Designer do? by Joel Gardner.